What kind of Blue Strobe Lights are you looking for? Extreme Tactical Dynamics has the blue LED lights you need if your are law enforcement, firefighter, or emergency medical technician (EMT). Let motorists know you’re on a mission. 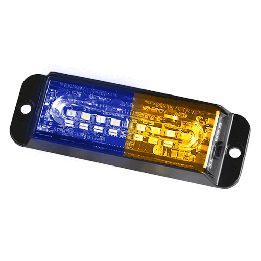 We have the answer for blue lights from blue strobe to LED light bar. Vehicle lights are our business. Take a look at our selection. Find the right solution for your vehicle. Help is just a click or phone call away. Need alternating red and blue strobe lights? We have those, too. We take pride in getting you the right lights for every situation and vehicle.